Where Can I Spread Bet on ITV? Where Can I Access Live Prices for the ITV Market? Where Can I Get Live Charts for the ITV Market? Where Can I Practice Trading ITV? A FinancialSpreads account provides a wide variety of shares spread trading and contracts for difference markets such as ITV, Vodafone, Wal-Mart and Airbus, together with a host of other UK, American and international equities. 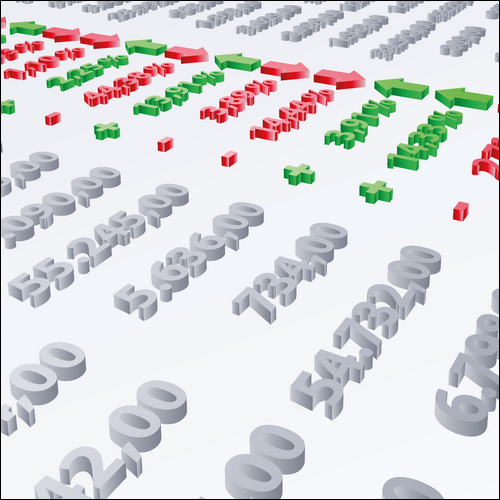 FinancialSpreads provides live pricing on more than a thousand spread trading and CFD markets like ITV and a wide array of other equities, stock markets, commodities and currency markets. Where Can I Get Live ITV Charts? With a Financial Spreads account clients are able to access real-time trading charts for ITV and numerous other CFD and spread betting markets. Overlays and technical indicators, for example, Moving Average, RSI, TSI etc. A host of different time periods, for example, 1 minute, 15 minutes, 4 hours etc. 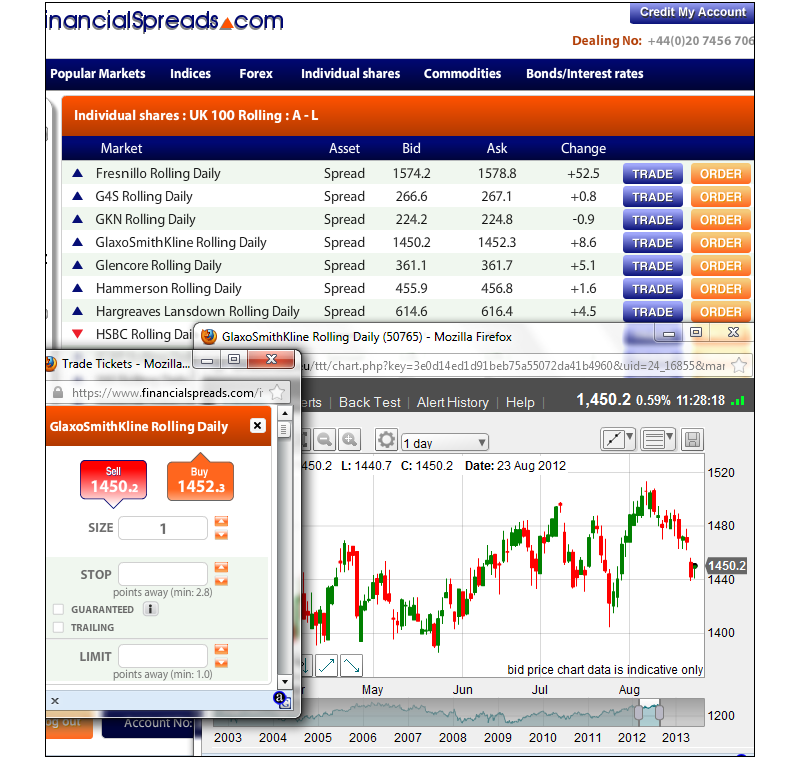 This is a 'Rolling' spread betting market meaning that it does not have a final closing date. If you haven't closed your trade and the trading session ends then your trade will automatically roll over to the next session. If a trade rolls over then you will either receive or be charged a small fee for overnight financing based on whether you are betting on the market to increase or decrease. For additional details also see Rolling Spread Bets. Units Traded: Spread betting trades on the ITV market are priced in £x per penny price movement. E.g. if ITV changes by 45p then you would gain or lose 45 times your stake. Stake Size: You choose how much you want to stake per penny, e.g. £1 per penny, £4 per penny, £15 per penny etc. Staking Example: As an example, if you chose a stake of £3 per penny and ITV moves 26p, you would lose/win £3 per penny x 26p = £78. Close for a Profit? You can opt to keep your position open or close it, i.e. close your spread bet to lock in a profit. In this instance you decide to settle your trade and sell the market at 245.97p. Time to Restrict the Loss? At this point, you could decide to let your spread bet run or close it, i.e. close your spread bet and restrict your losses. In this example you opt to settle your trade by selling the market at 218.26p. Time to Take Your Profit? At this point, you could opt to keep your spread bet open or close it, i.e. close your position to lock in your profit. In this instance you opt to close your bet by buying at 206.56p. Limit the Loss? At this point, you may decide to keep your trade open or close it, i.e. close your trade to restrict your losses. In this instance you opt to close your trade and buy the market at 250.83p. Where Can I Practice Financial Spread Betting on ITV? FinancialSpreads.com offers you the chance to try out new trading theories by using a free Practice Account, markets include ITV. The Demo Account offers more than a handful of markets; traders can gain trading experience on a wide range of stocks, index markets, commodities and forex rates. A common ticker code for ITV is 'ITV' however 'ITV.L' and 'LON:ITV' are also used.